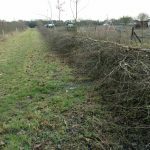 The dividing hedge between the wood and the allotments has recently been expertly laid in the traditional Midlands style. 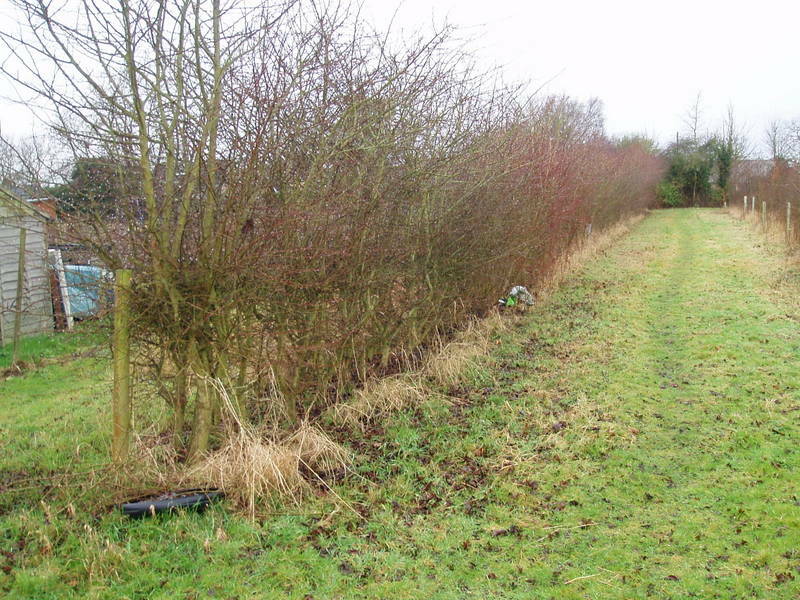 The hedge being mainly of Hawthorn and Blackthorn with a few other species like Viburnum. 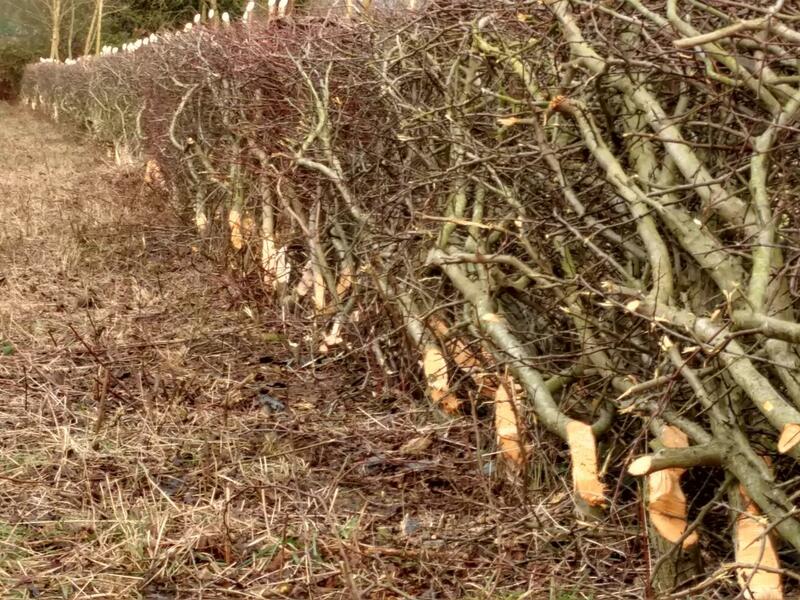 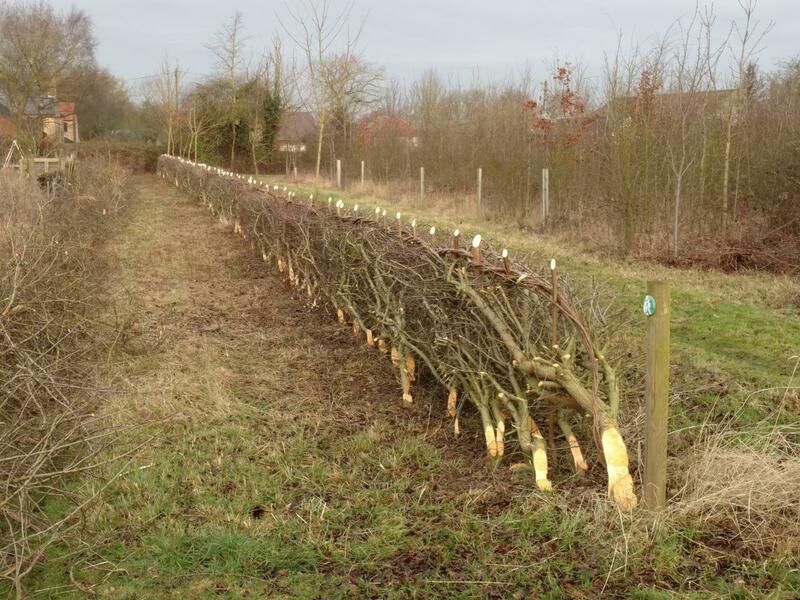 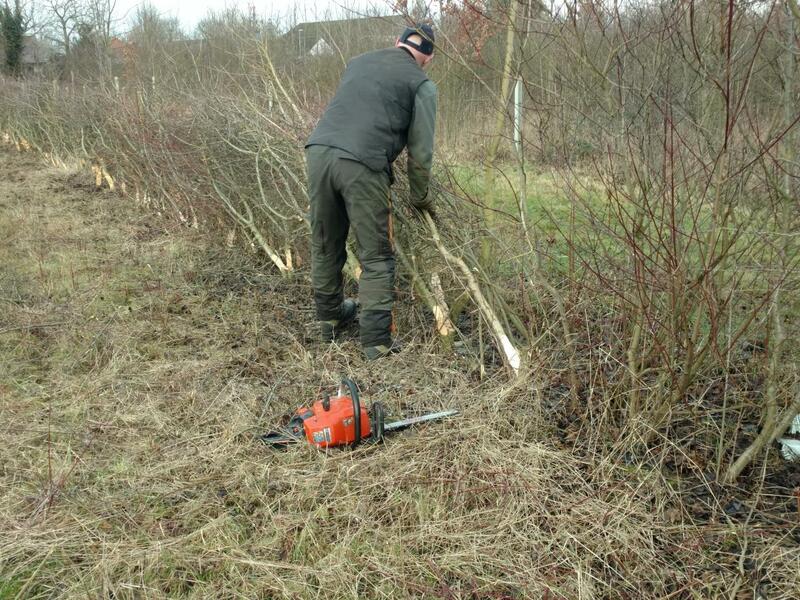 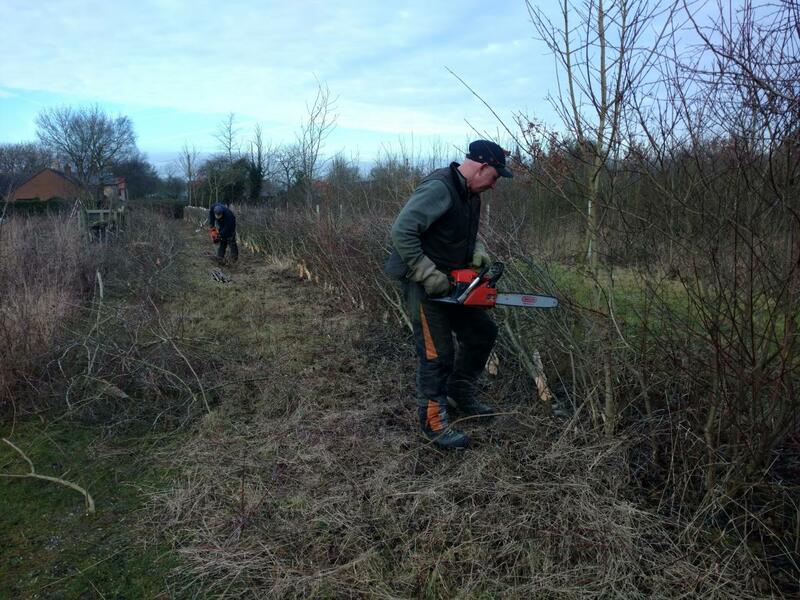 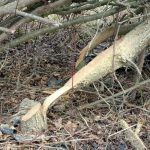 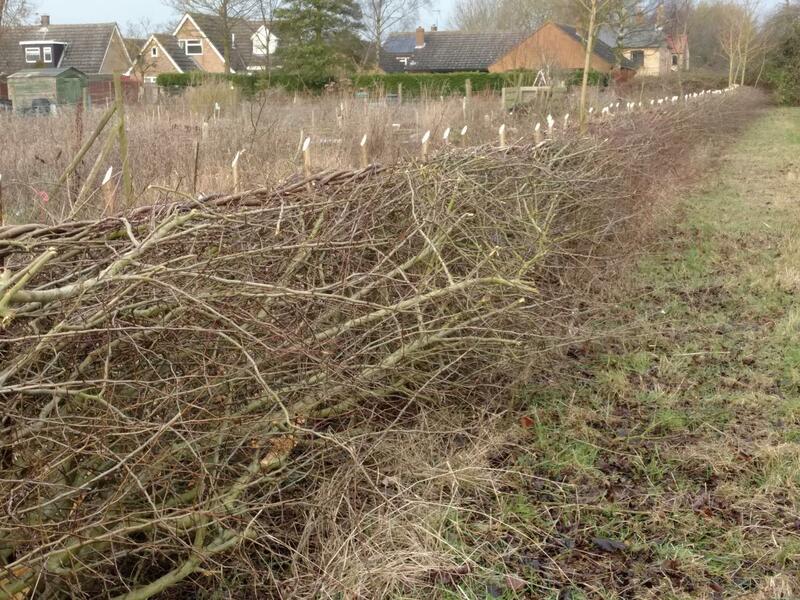 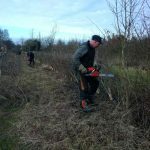 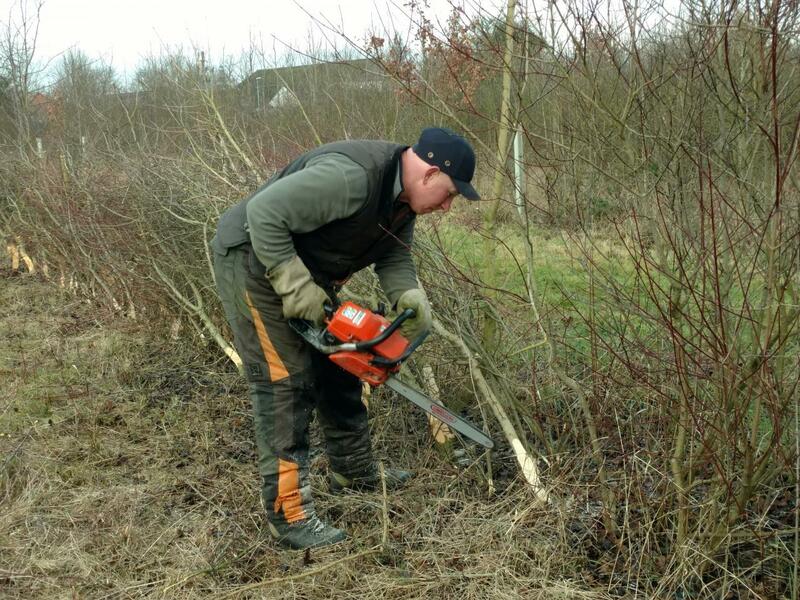 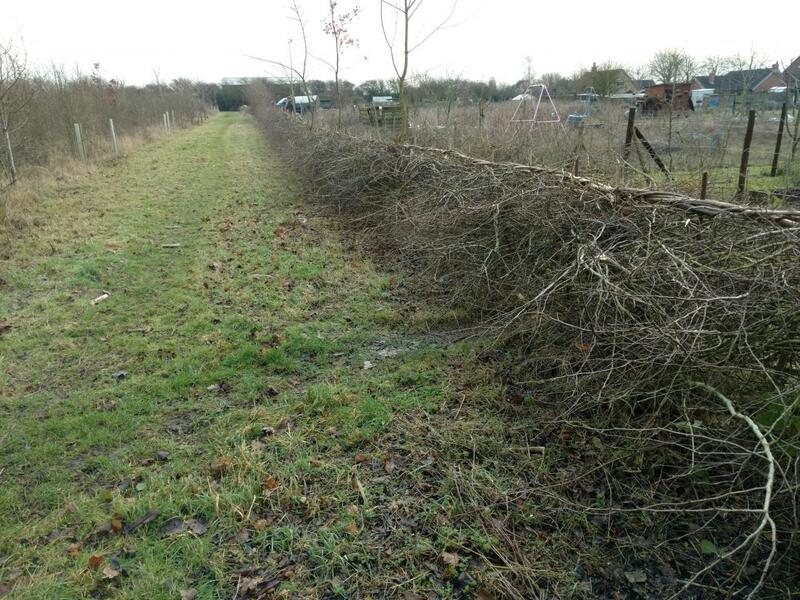 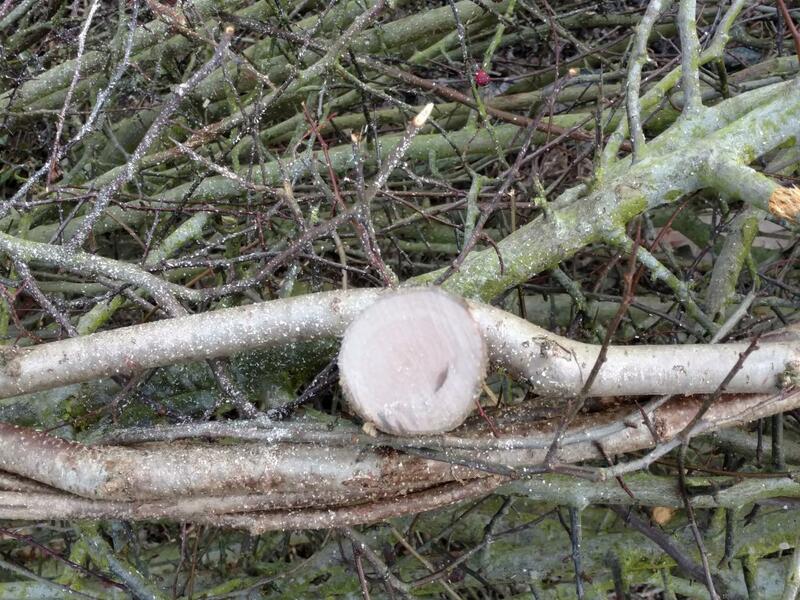 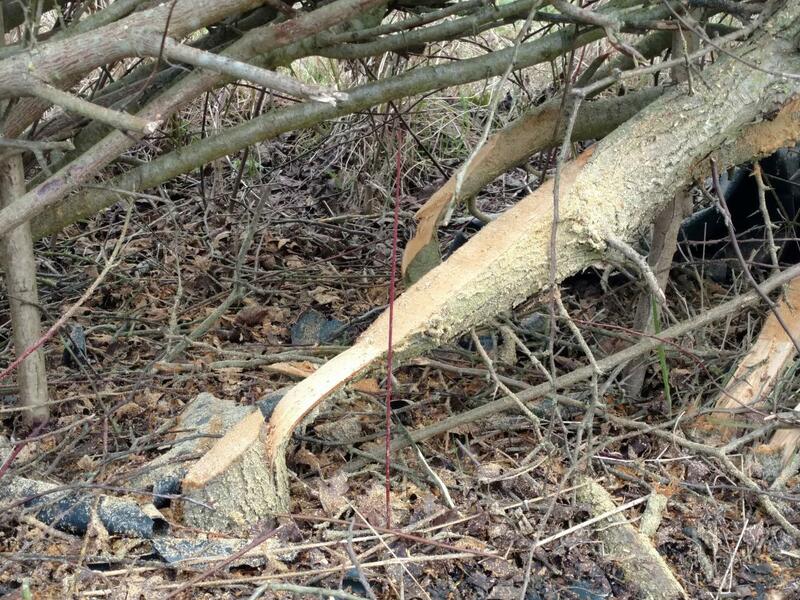 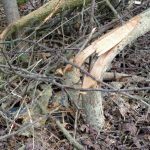 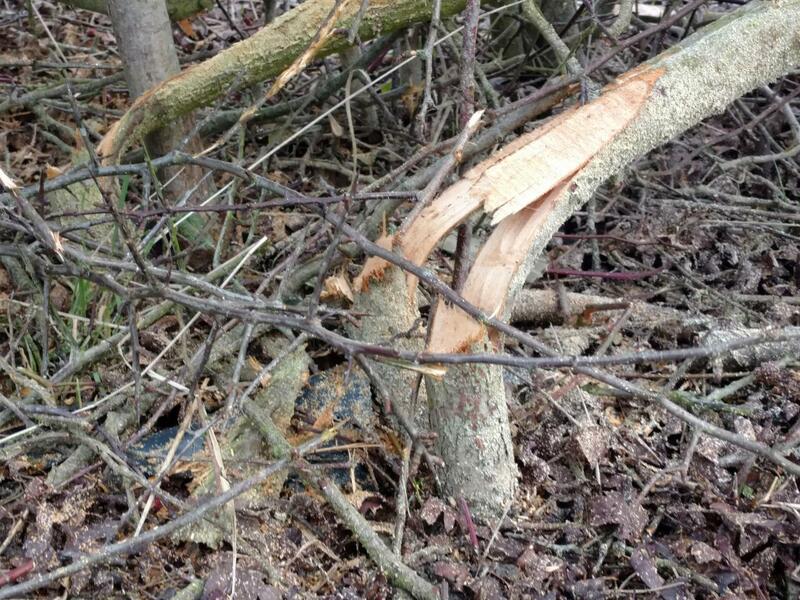 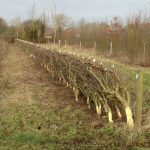 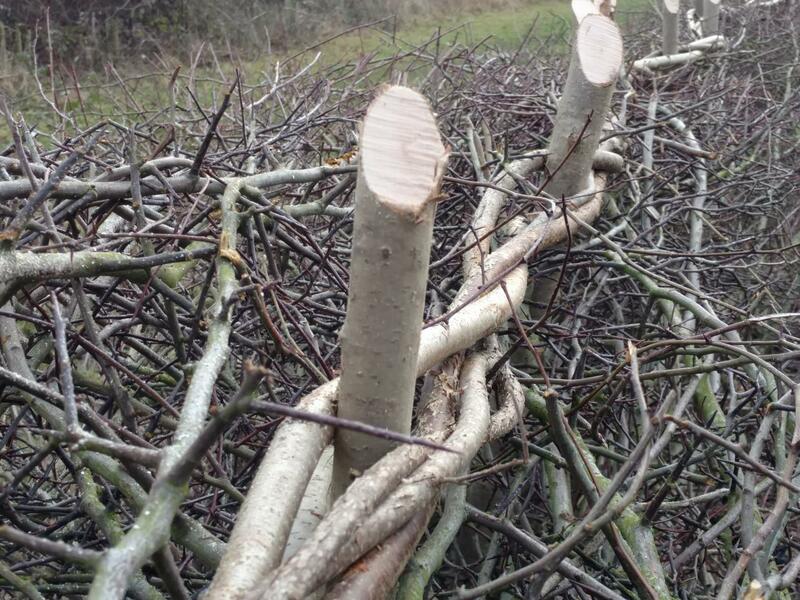 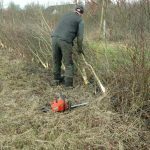 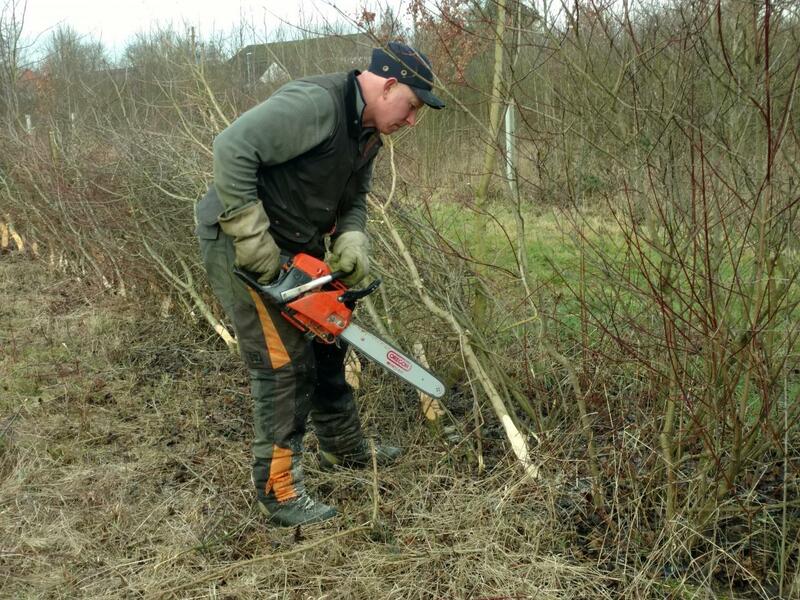 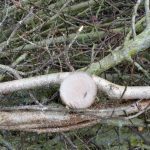 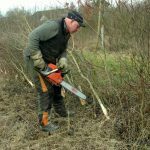 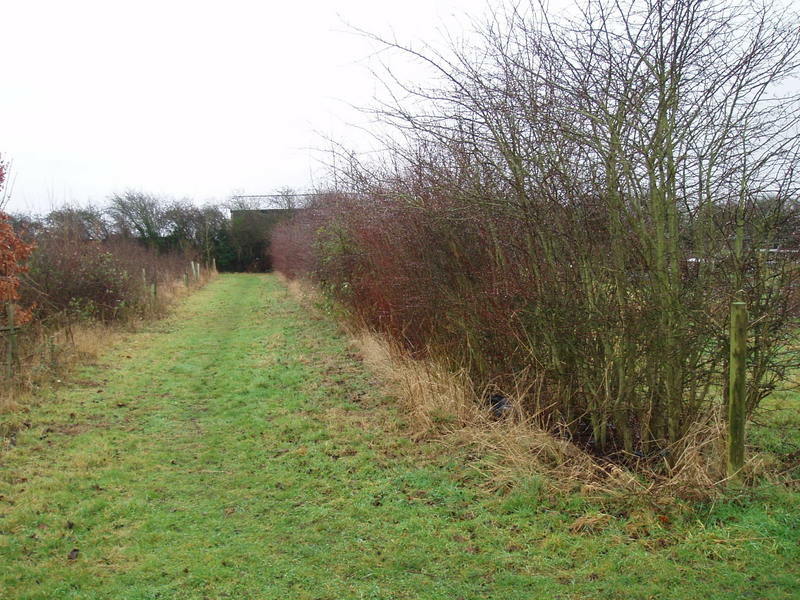 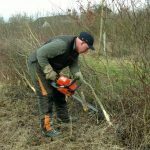 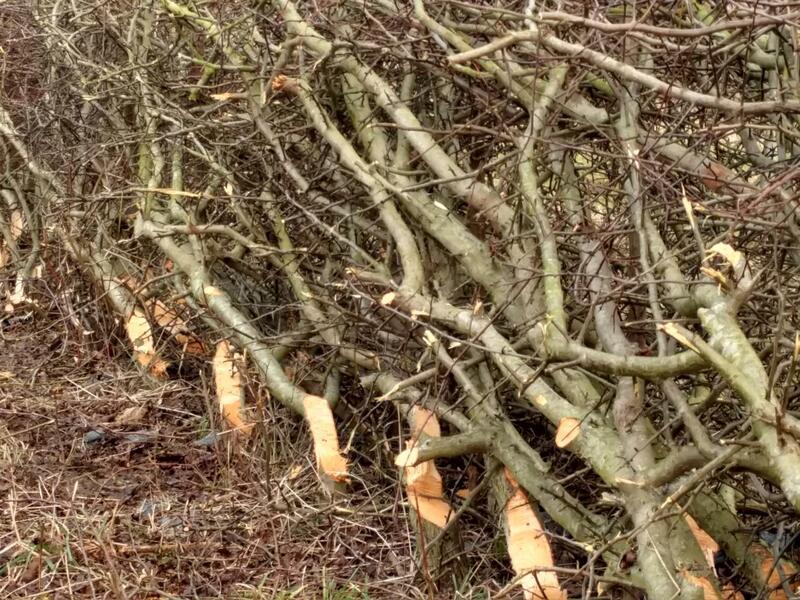 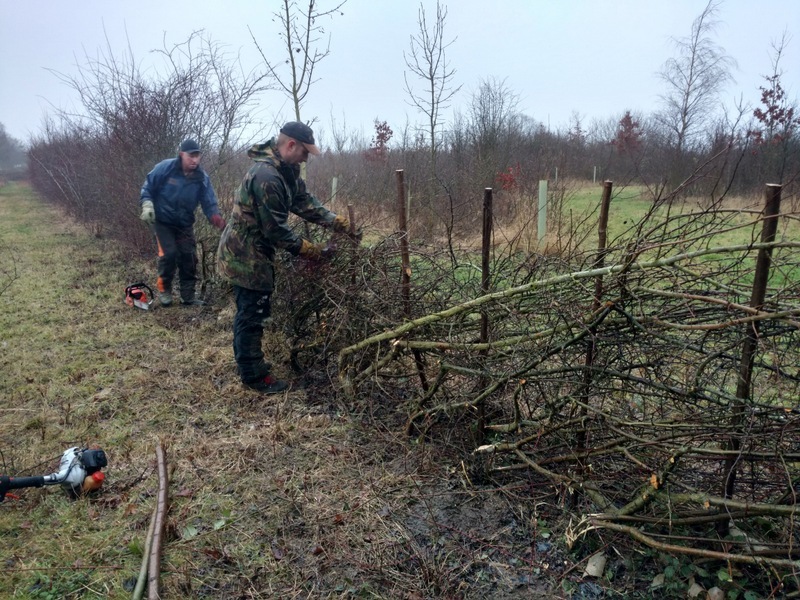 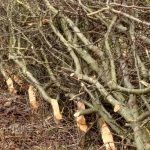 Hedge laying was usually performed to make hedges and field boundaries stock proof. 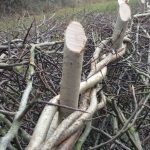 This would have been a winter job for many farm staff along with annual trimming all done with hedge slashers, hooks and bill hook. 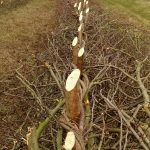 The advent of barbed wire saw the decline of hedge laying and then the move away from hand labour to mechanical hedge cutting first by tractor mounted finger bar mowers and then the invention of the flail hedge cutter in the early1960’s largely changed the way the landscape was managed. 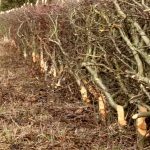 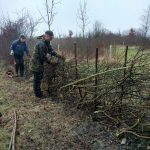 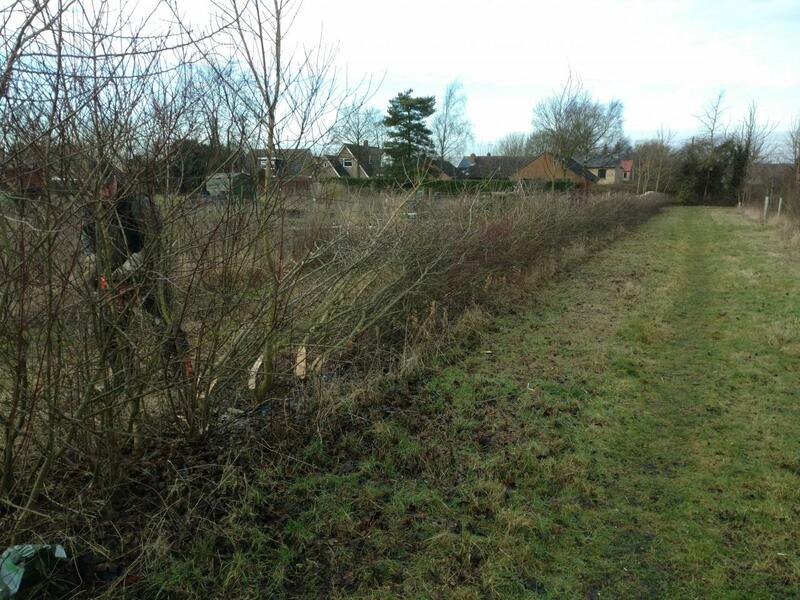 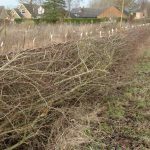 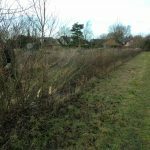 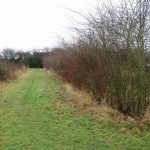 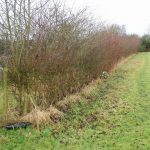 The reason to lay the hedge in this instance is to promote sound environmental benefits for nesting birds and encourage vigour in the hedgerow by promoting new growth from the base. 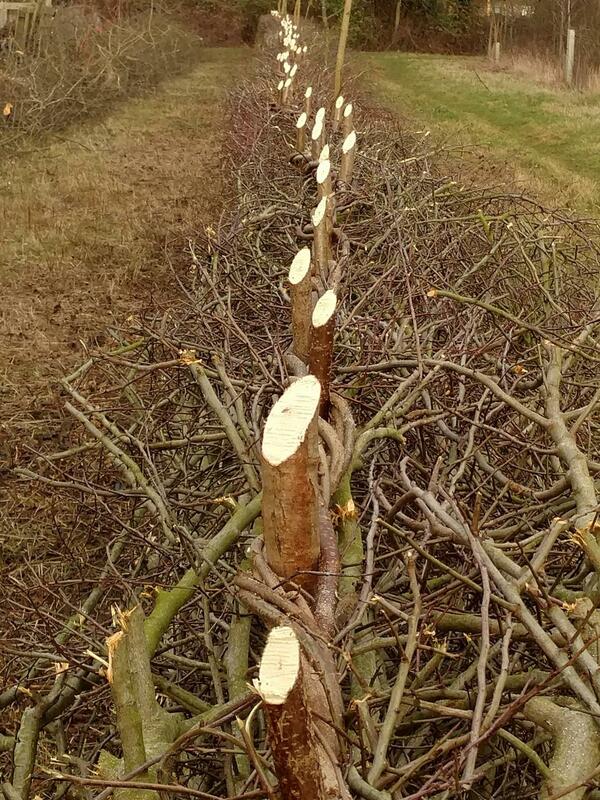 I would imagine by late May this year the hedge will look like solid green wall.